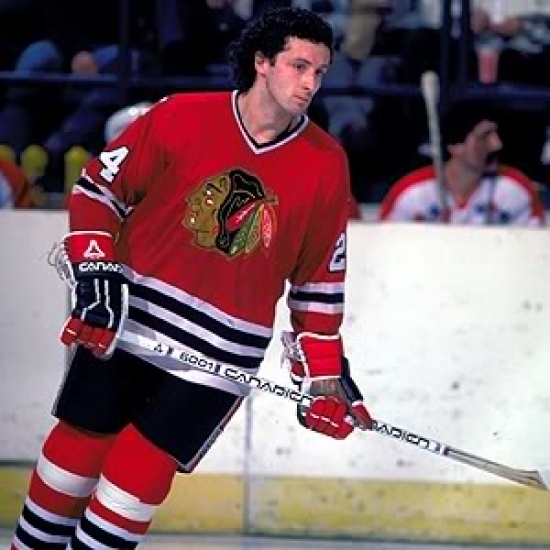 The top blueliner for well over a decade for the Blackhawks, Doug Wilson was the Norris Trophy winner in the 1981-82 season where he was also a First Team All Star. Wilson would also be named a Second Team All Star twice and was also an All Star for the Blackhawks six times. The Defenceman would score 779 Points with an .84 PPG for the Chicago and he would twice receive votes for the Hart Trophy. For many, Wilson is considered one of the bigger snubs for the Hockey Hall of Fame. Acquired: Selected in the 1st Round, 6th Overall in the Amateur Draft 6/14/77. Departed: Traded to the San Jose Sharks for Kerry Toporowski and San Jose’s 1992 2nd Round Pick (which would be later traded to Winnipeg, which would be Boris Mironov) 9/6/91. See More Info about Doug Wilson on Everipedia!